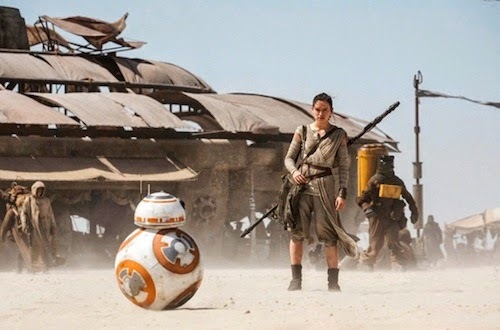 Entertainment Weekly has posted new photos of BB-8 and Rey (Daisy Ridley) from Star Wars: The Force Awakens. 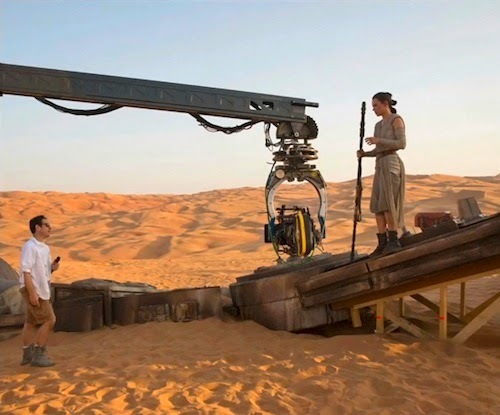 The above production photo was revealed during Star Wars Celebration and clearly shows JJ Abrams directing actress Daisy Ridley, who is standing on an AT-AT leg. I'd bet she's playing the daughter of Han Solo and Princess Leia, which means the force will be with her.